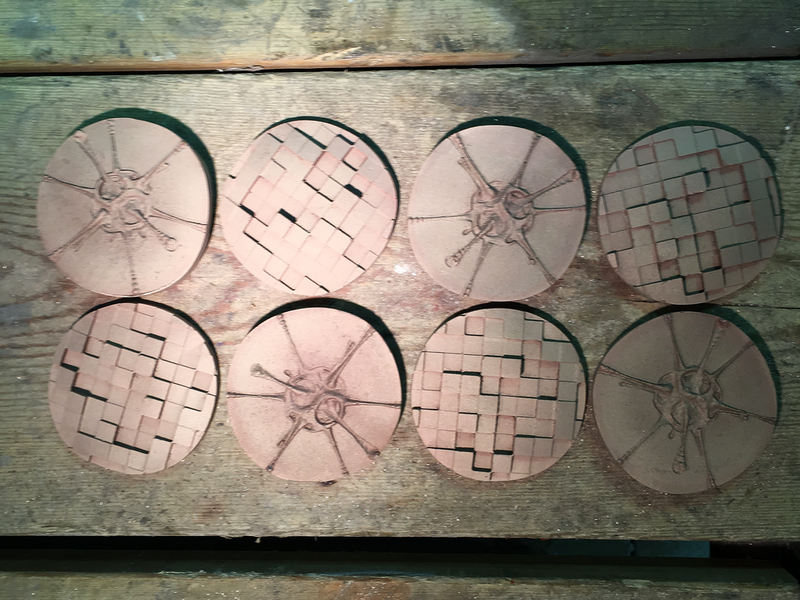 I have created a number of jewelry pieces, medals, including variations on the Expanding Boundaries medal using 3d printing and investment casting in bronze; new versions using resin and electro-forming; and CNC machined artifacts from wood and chemiwood. 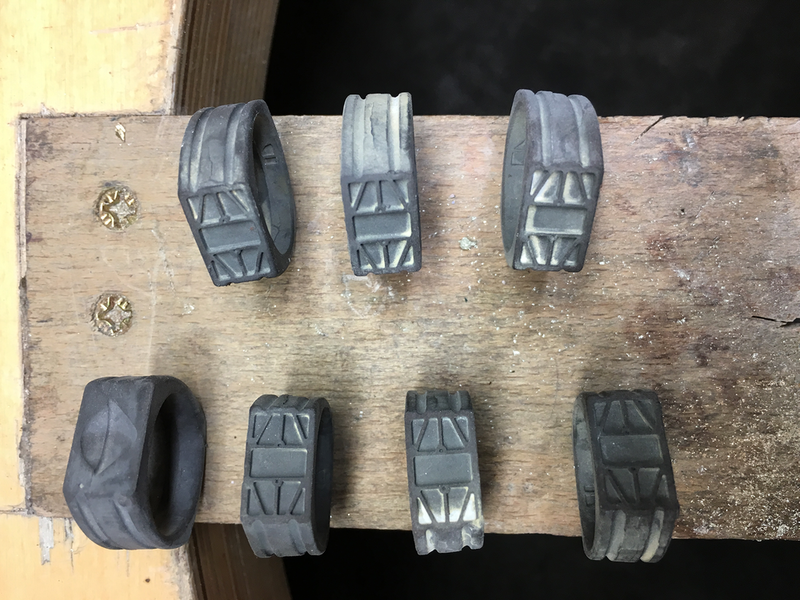 The images step through the various designing and making phases, from modeling in Blender3d; through the CNC-machined castable wax master model; creating the silicone mold; shelling; and chasing step that ends with patination. The images show the obverse and reverse sides of the medals. (Limited edition of 8, including a medal from the original wax model.) 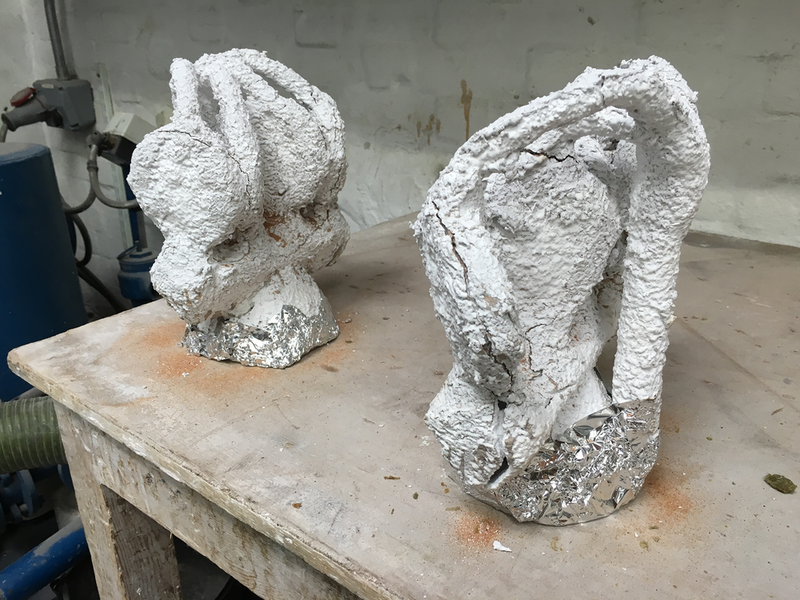 I have made these at RCA's Foundry. 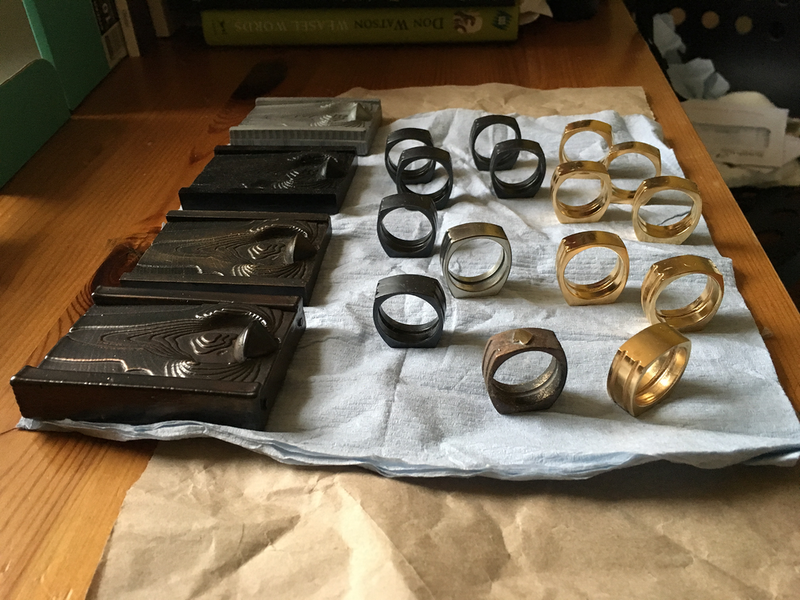 These are silver, patinated silver, bronze and gold plated bronze rings, which I have created in a similar process to the bronze medals, at RCA's Jewellery Studio, with lots of teaching support from the outstanding technical staff. 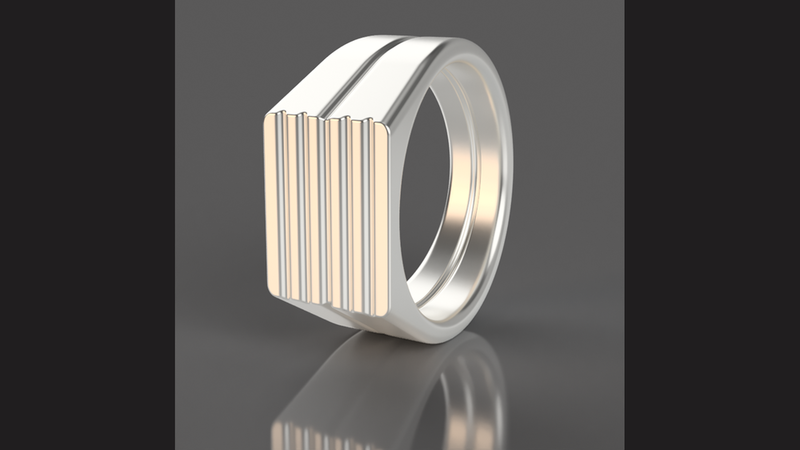 I have designed the rings using Autodesk Fusion 360. 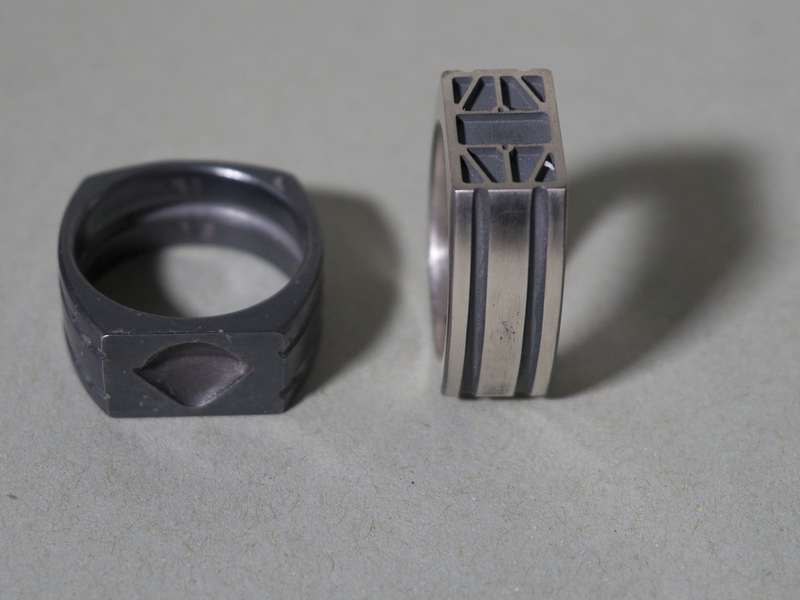 From this the STL model was 3d printed in wax, the master ring was casted in silver, from which I have made silicone molds and subsequent wax models. 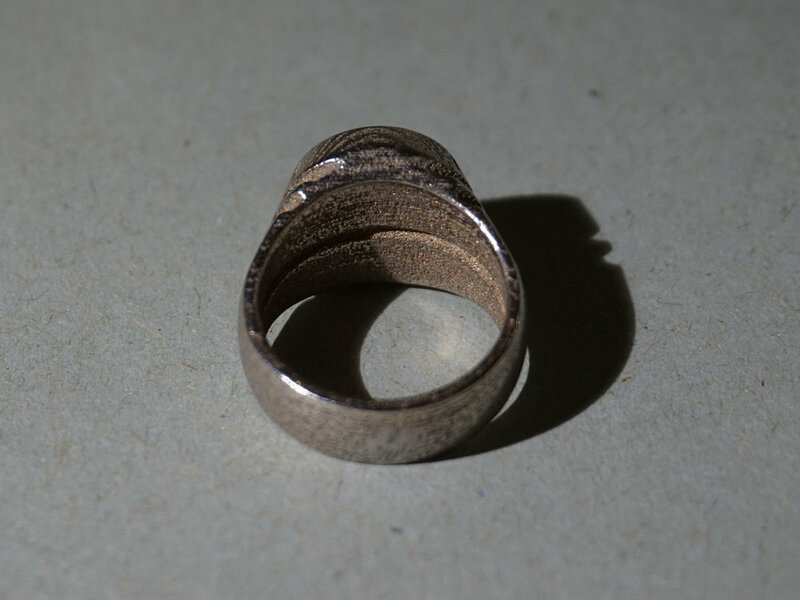 The replica rings were silver and bronze. I have made them at RCA's Jewellery workshops. 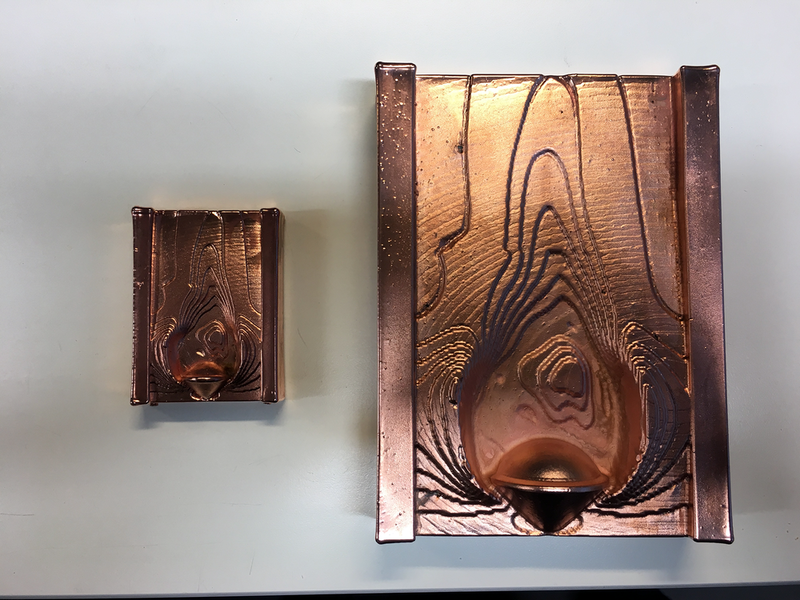 The investment casting process is illustrated through the following images. Inspired by the copernican view of the solar system. 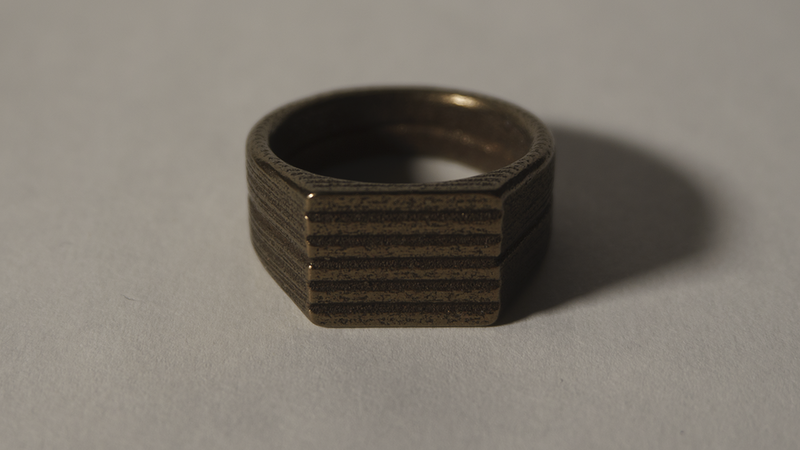 Bronze-steel, designed in Fusion 360, 3d printed through Shapeways. 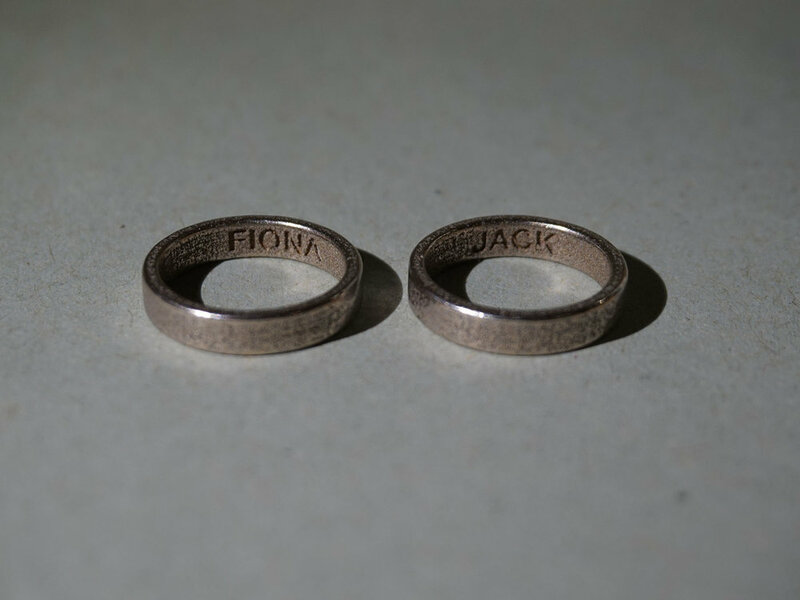 Simple steel rings with both names imprinted inside each ring. Modeled in Fusion 360, 3d printed through Shapeways. 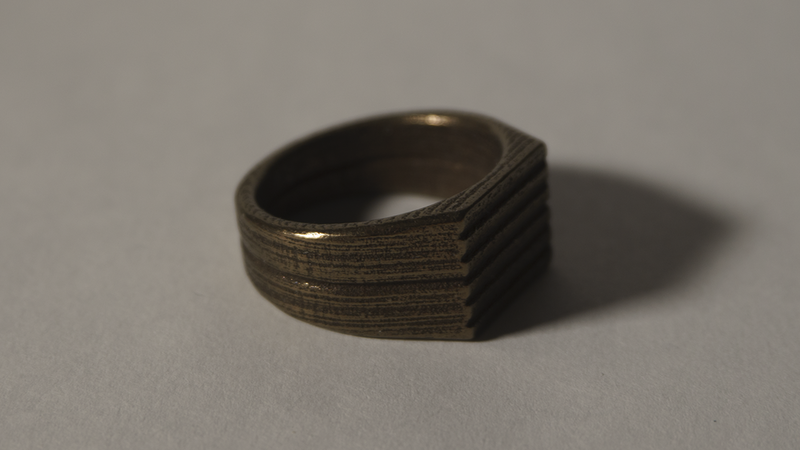 Bronze-steel ring designed in Fusion 360, printed through Shapeways. The design incorporates a groove that cuts holes into the corners. 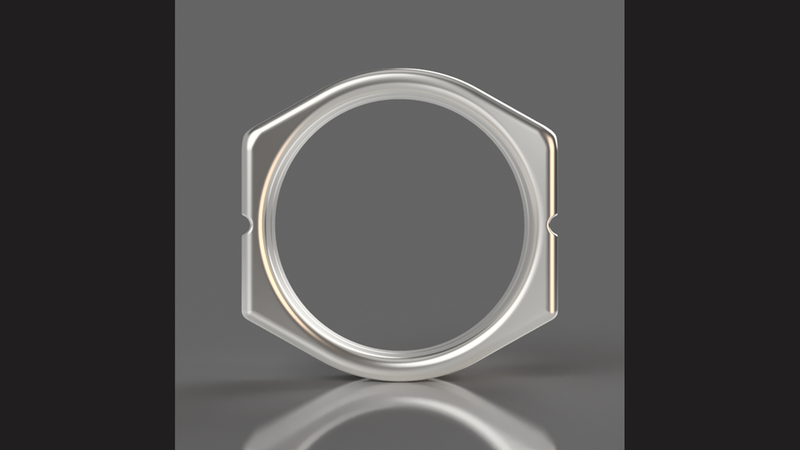 Started as a modification to a nut, with the corners rounded and other features added. 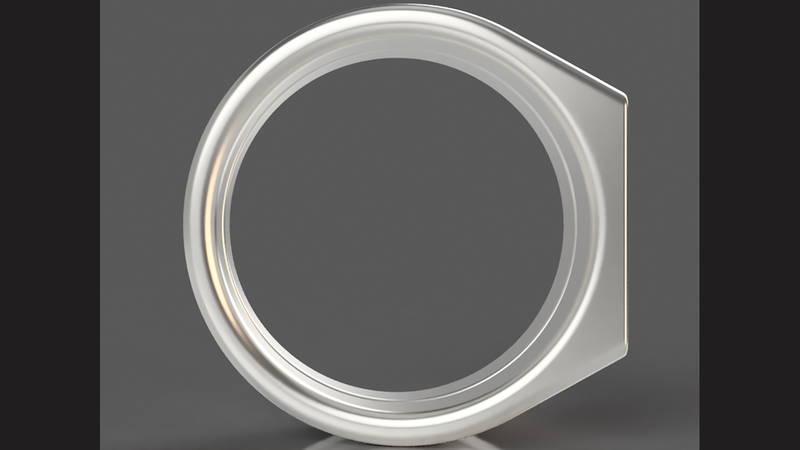 Modeled in Fusion 360. Bronze-steel version. Inspired by the chess piece. I was experimenting with undercuts, which would be difficult to make through traditional processes. 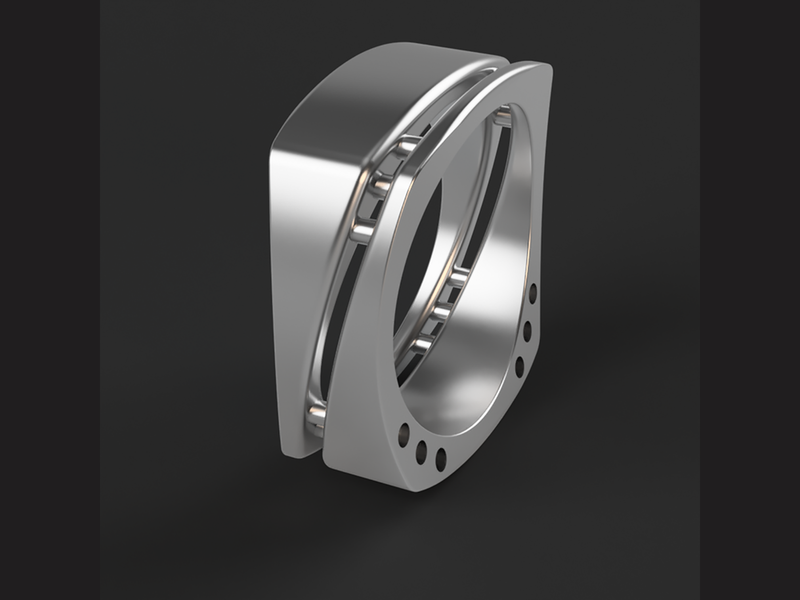 Modeled in Fusion 360. Steel version. Experimented with undercuts, arches, and separations. 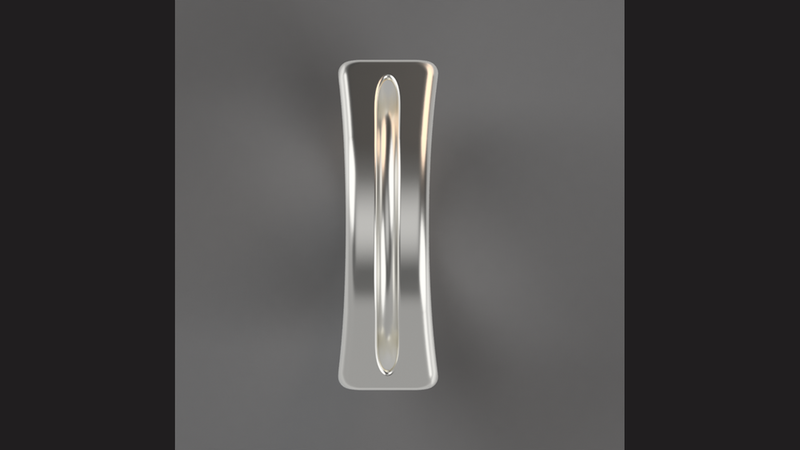 Modeled in Fusion 360. Bronze-steel version. Experimenting with the voronoi pattern. Modeled in Fusion 360. Black-steel version. 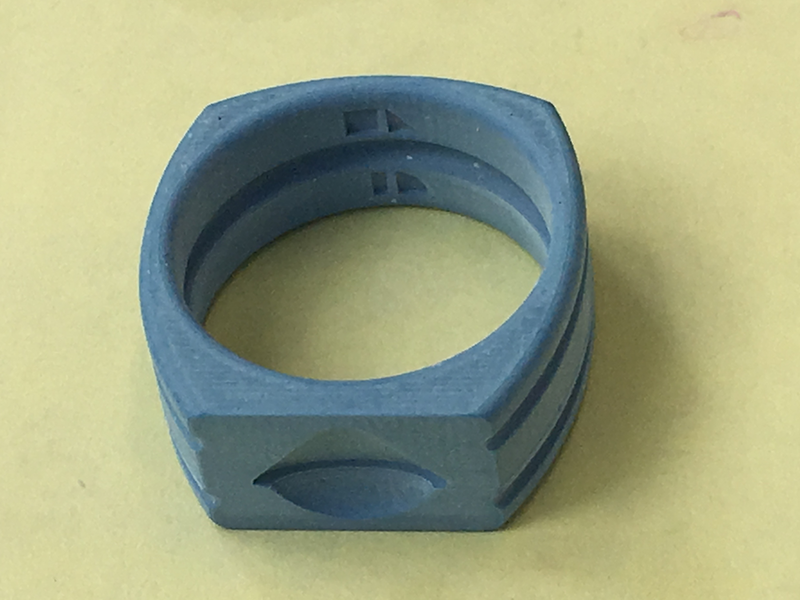 The holes on the top face of the ring has a da Laval nozzle shape. Modeled in Fusion 360. Bronze-steel version. 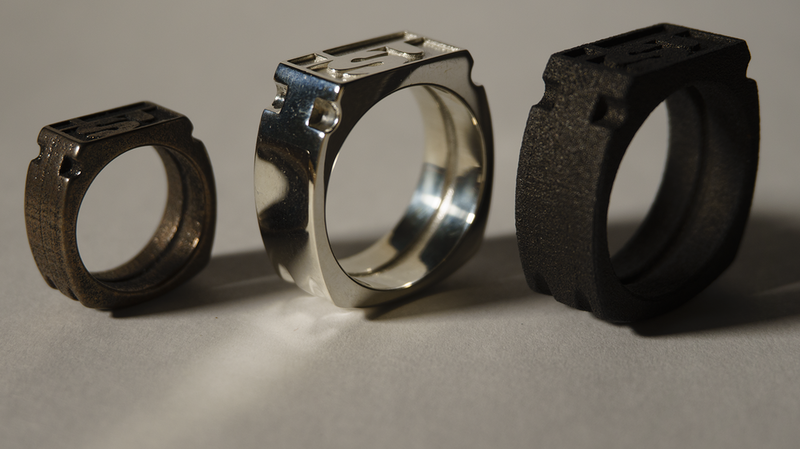 These designs were not yet made into physical artifacts, these are only Fusion 360 rendered models. 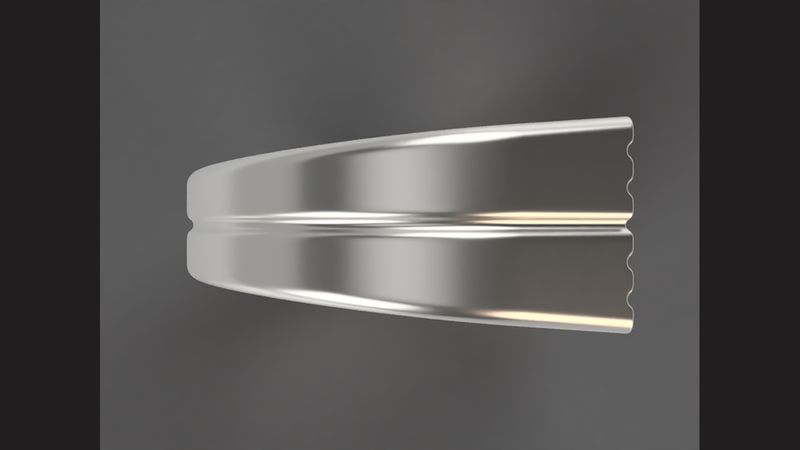 The "aeroshell" ring echoes the cross section of a Galileo type aeroshell. The two "bridge" designs symbolize bridge constructions. 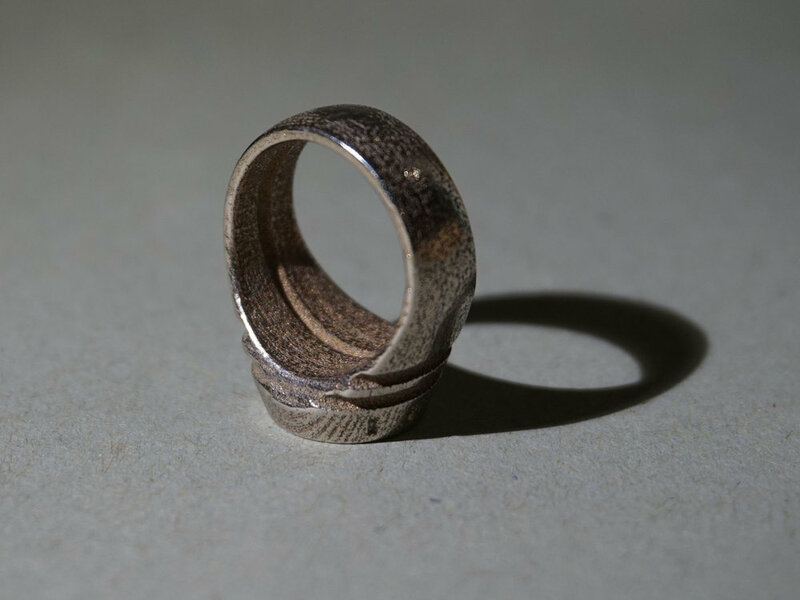 The "flavian" ring reflects the shape of a roman arena. The "simple signet" is what the name states. 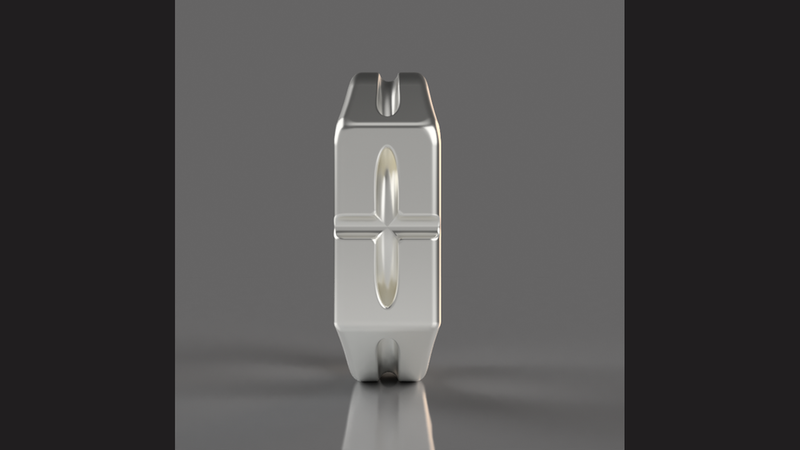 Modeled in Fusion 360. 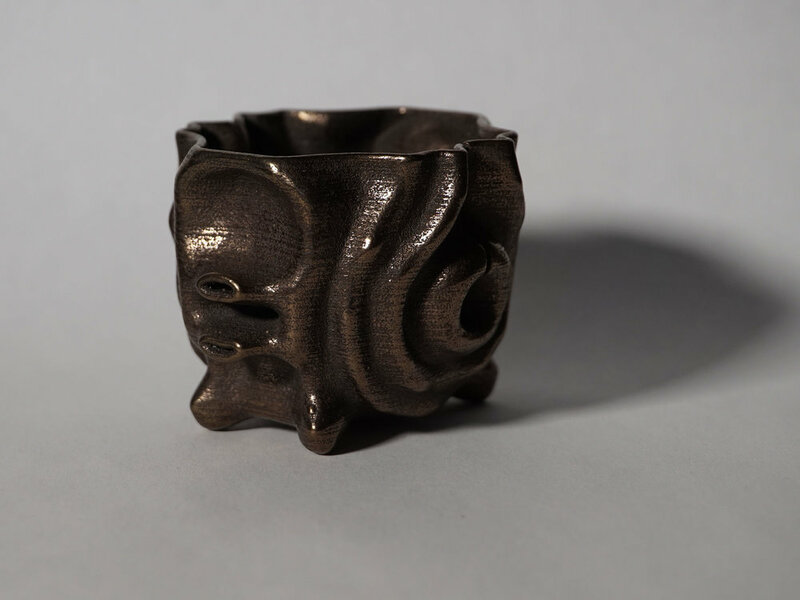 I have designed this small vase in Blender3d and made it through Shapeways out of bronze-steel. 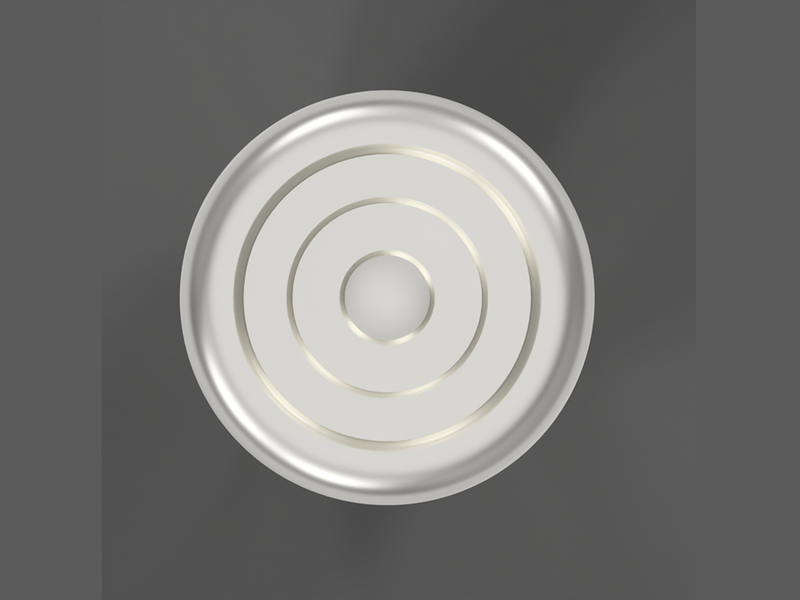 The diameter is about 5cm, but as with STL models it can be scaled up if needed (but at a significant cost). 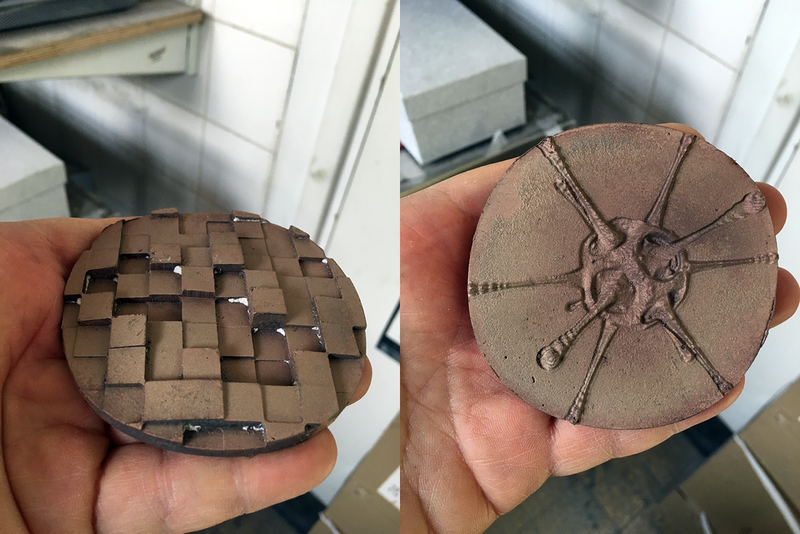 Beside the bronze medals and sculptures, I have experimented with other materials and processes. 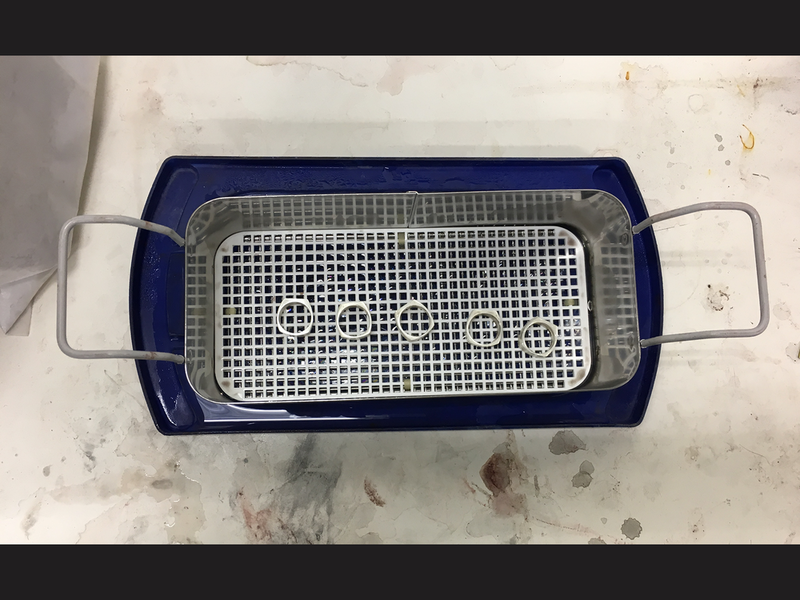 These included resin, resin with aluminum or titanium powder, carbon paste coated resin, and electro-forming over the resin core. 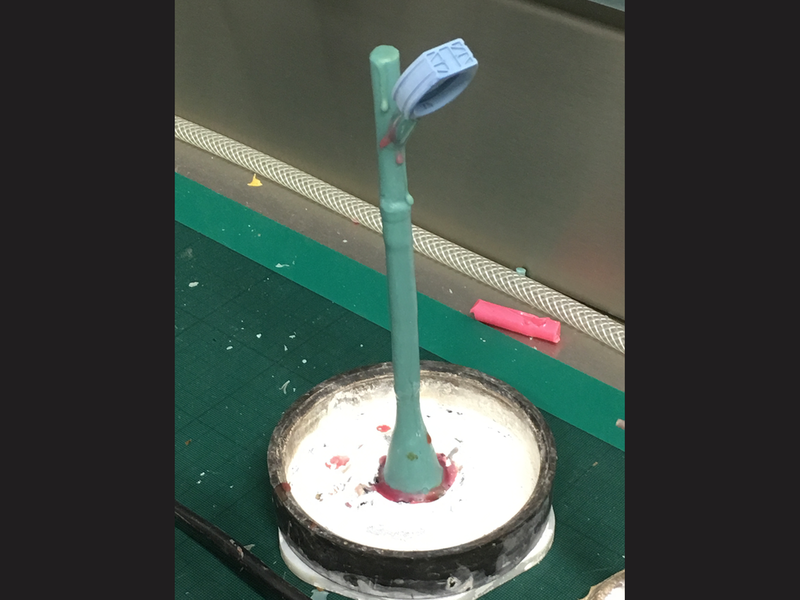 I have use silicone mold of the Expanding Boundaries medal, and the Galileo Flow Field sculpture to create the resin versions. 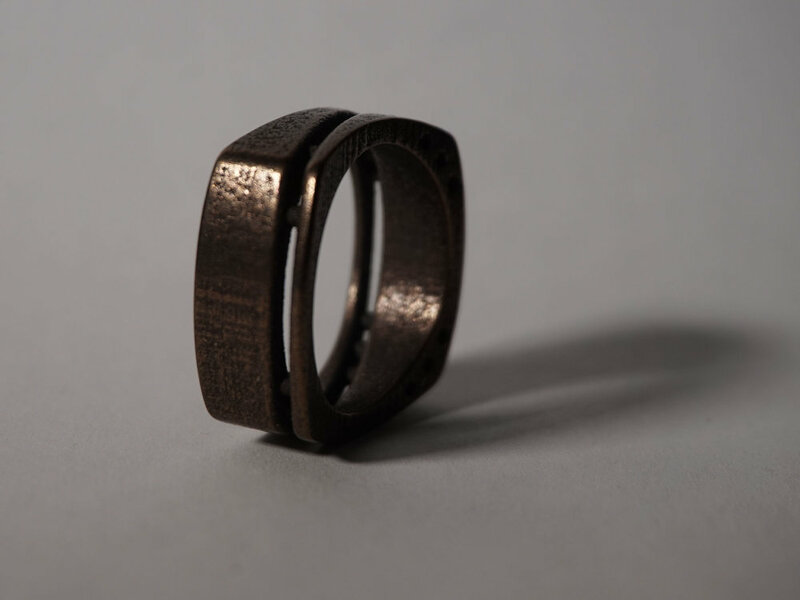 I have designed a number of links, which were either CNC machined out of wood or chemiwood at RCA's Digital Aided Making, or 3d printed out of gold-steel. 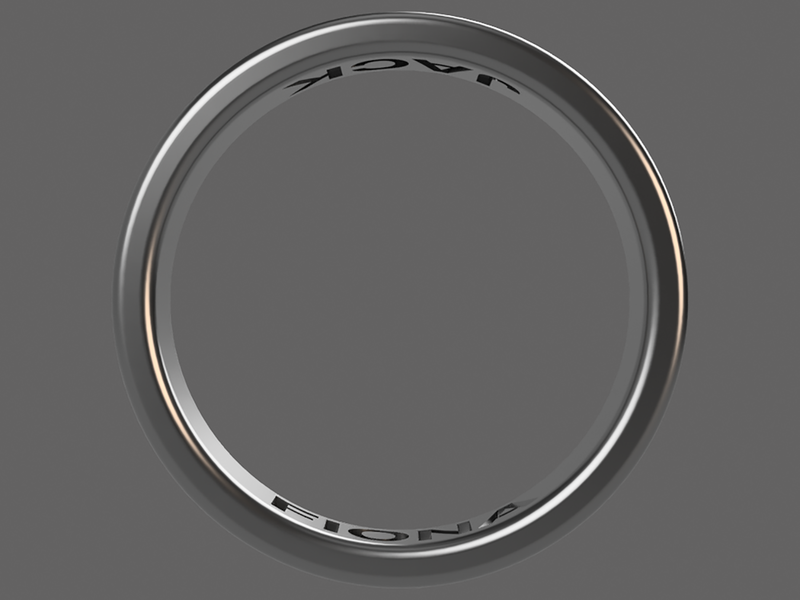 I have done this as an exercise to learn Fusion 360 modeling. I have created a physical version of the logo of my Orbit Co-Design LLC. 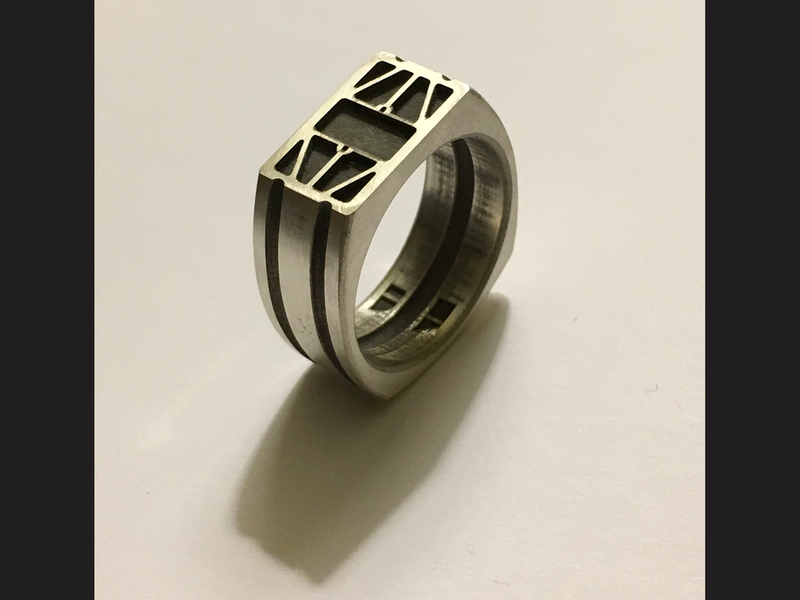 Designed with Fusion 360, 3d printed in polished grey steel through Shapeways. The bangle was strongly influenced by the Cartier love bangle, and includes a logo imprint. 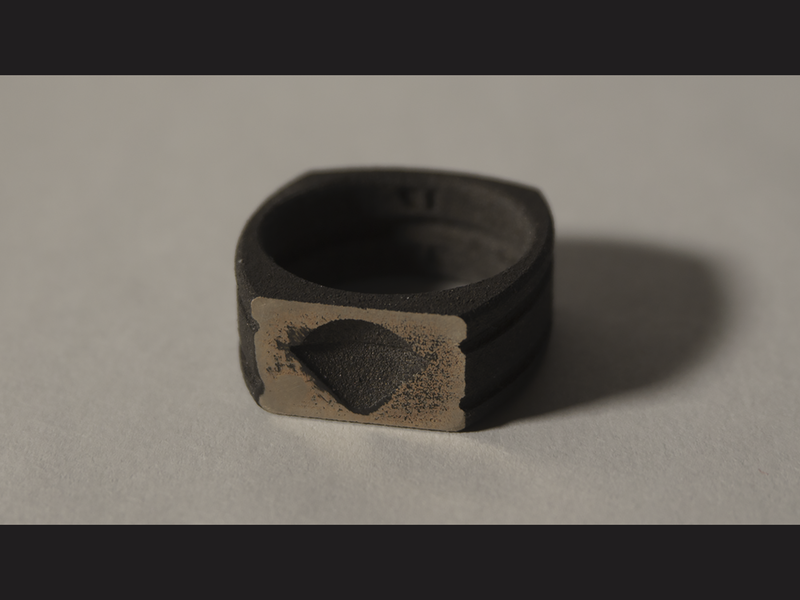 I have designed it in Fusion 360, and 3d printed it through Shapeways in bronze-steel. 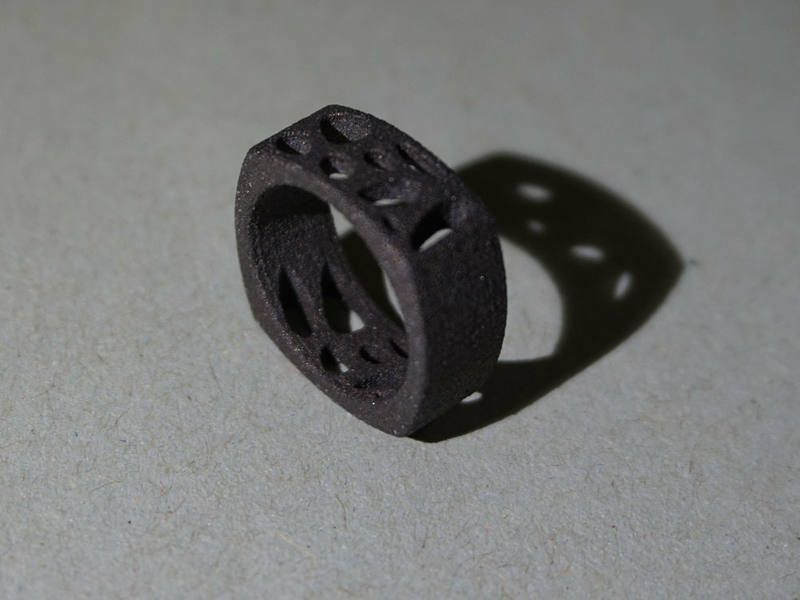 The voronoi bracelet concept is a scaled and modified version of the voronoi ring.